The instruments in our Natural Series offer these characteristics with elegance and completion. Each individual guitar bears witness to the responsible handling of the materials and their transformation into a piece of tone-art. The finesse of luthiership is expressed in the Natural Series in its most fundamental form. The instruments are built without compromise but left as natural as possible. 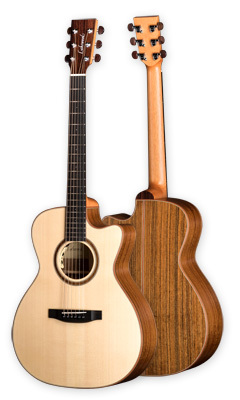 In the Natural Series our Lakewood luthiers demonstrate that beauty and simplicity can be wonderfully combined.